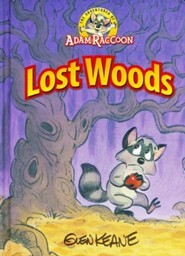 The Adventures of Adam Raccoon takes place in the Master's Wood. It is a place of natural beauty, with streams, waterfalls, flowering meadows and groves of tall trees. 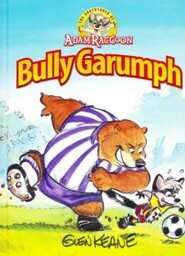 It is also a wild and untamed land where wolves and dangers abound. Fortunately, King Aren watches over and protects Adam and his friends who love to play and explore every corner of Master's Wood. 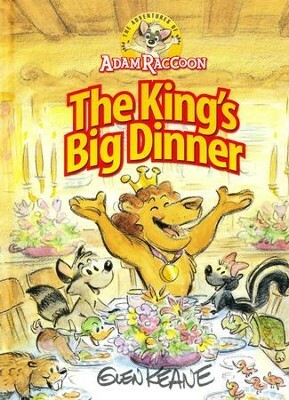 In The King's Big Dinner, Adam is given the job of handing out King Aren's dinner party invitations to the inhabitants of Master's Wood. 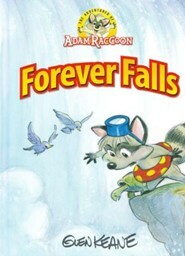 However, Adam makes some wrong assumptions and later needs to confess and correct his mistakes. Inspired by the Great Banquet story in Luke 14:16-24. 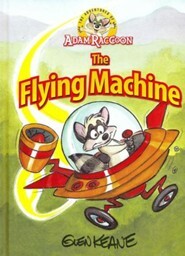 Each of the Adventures of Adam Raccoon stories carries a Biblical theme taught in the form of a parable. 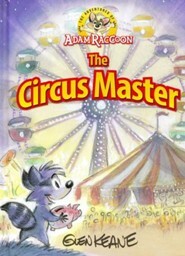 Adam Raccoon is a picture of all of us and King Aren the lion is a picture of Jesus. "Aren" in ancient Greek means "lamb." 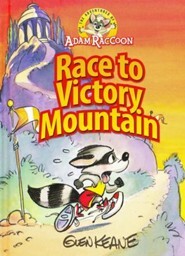 I'm the author/artist and I want to review The Adventures of Adam Raccoon: The King's Big Dinner.